Welcome to SECRET MASK (approved by PETA) – vegan Dead Sea skincare ! According to medical studies, foot baths and/or scrub with natural Dead Seas salts are excellent. Natural Dead Sea salts contain 26 vital active minerals with the highest concentration (3 to 36 times depending on the minerals) in comparison with other natural sea salts. In synergy with essential oils (peppermint, tea tree) and arnica, COOL FOOT is a must have for overworked feet and legs. Properties helps relieving foot and leg cramps, calming itching, regenerating the skin. Relaxing. Instructions (scrub) rub a nutsize of COOL FOOT on wet feet and legs. Scrub on skin for 30 seconds. Apply it as though lathering up with soap and water. The gritty texture sloughs roughness while the oils rapidly absorb into skin. 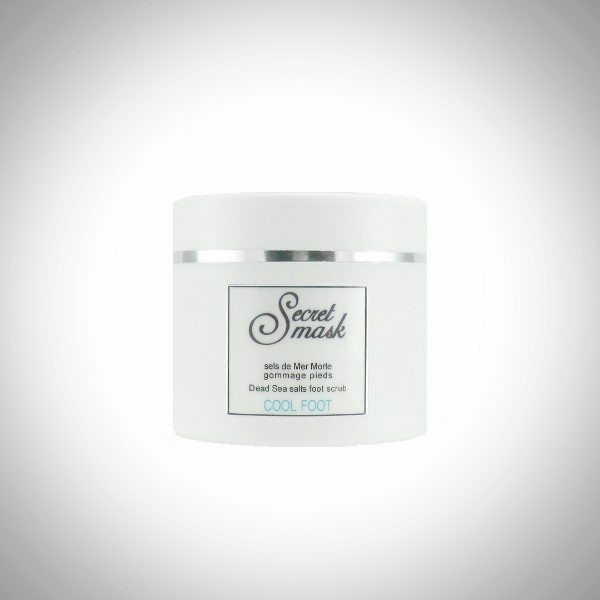 Rinse and pat dry before applying Secret Mask non greasy texture COOL CREME. Instructions (foot bath) dilute a handful of COOL FOOT into cold-lukewarm water. Soak your feet and massage. 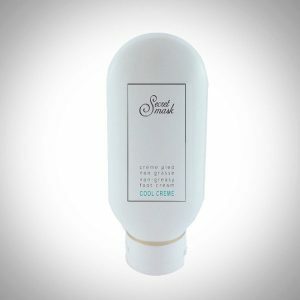 Rinse and pat dry before applying Secret Mask non greasy texture COOL CREME. Note: peppermint essential oil is not recommended during pregnancy.